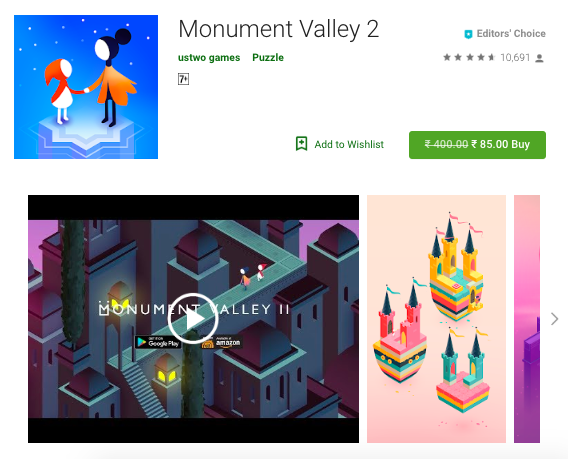 If you’re tired of chasing Chicken Dinners and want a change of pace for mobile games, well, one of the most popular and engaging titles, Monument Valley, is currently on sale on the Google Play Store. Monument Valley offers you exciting and mind-bending puzzles, where your lead Ro (the protagonist here) through challenging mazes by manipulating different intricate structures, and using your imagination to create paths. 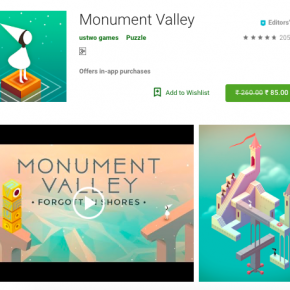 While the original Monument Valley typically sells for Rs. 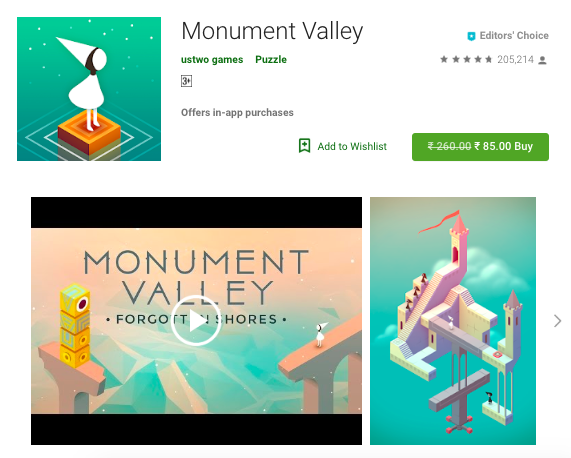 260, Monument Valley 2 is priced at a hefty Rs 400. 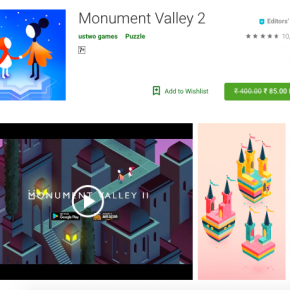 Both games are currently heavily discounted on the Google Play Store are selling for Rs 85 a pop, for the Black Friday sales season. This is a pretty sweet deal, in our opinion. I have bought both of these titles in the past and can attest to the gorgeous visuals, the physics, hidden paths, and mind-boggling architecture which presents a new challenge in every level. 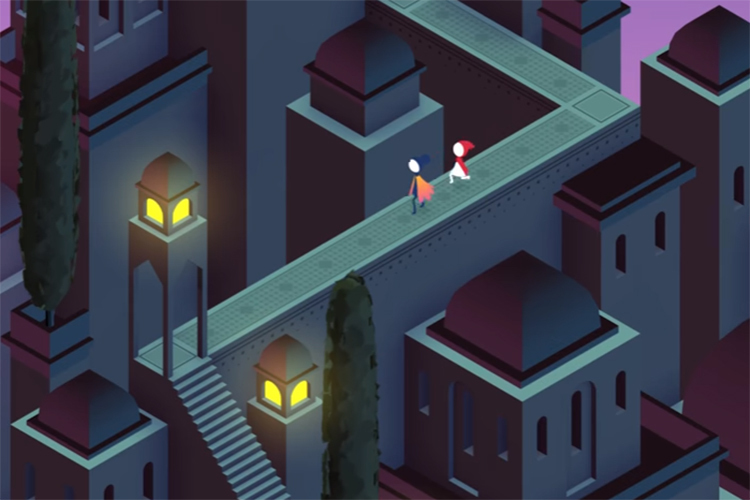 Even the background tracks are soothing and it’s a joy to unwrap these intricate puzzles. Monument Valley is already an amazing puzzle-platformer, but its sequel builds upon the same by introducing Ro’s child into the mix. She takes her child on the journey through beautifully designed mazes, that get intriguing with each level and teaches you about themes such as family, relationships, responsibility and independence. So, if you’re looking for a new game to take a break from PUBG Mobile, give the soothing Monument Valley games a shot.